Knights Of The Rose, a musical of shakepearean proportions featuring the hits of Bon Jovi, Muse, Meat Loaf, Bonnie Tyler, No Doubt and many more comes to the Arts Theatre from 29 June for nine weeks only. 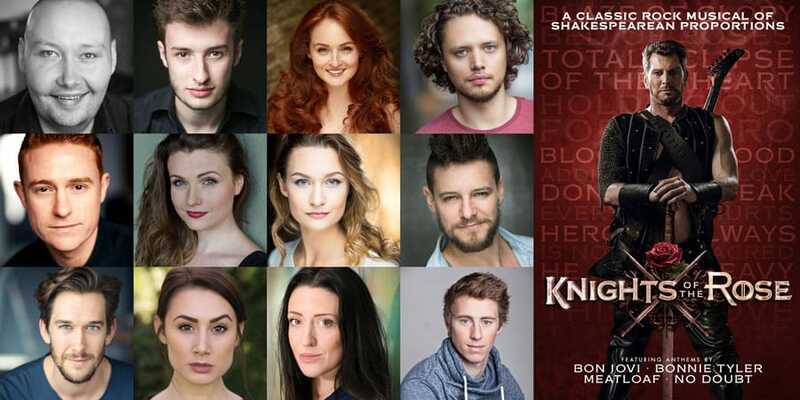 Casting includes Adam Pearce (King Aethelstan), Oliver Savile (Hugo), Chris Cowley (Palamon), Rebecca Bainbridge (Queen Matilda/ Bess), Bleu Woodward (Emily), Ruben Van Keer (John), Katie Birtill (Hannah), Matt Thorpe (Horatio), Rebekah Lowings (Isabel), and ensemble members Ian Gareth Jones, Kelly Hampson, Tom Bales. Knights Of The Rose is created by Jennifer Marsden, directed and choreographed by Racky Plews and designed by Diego Pitarch.